Outdoor blinds are great for balconies and patios as it protects against outdoor elements such as sunlight, wind and rain. It is usually made from PVC, polyester and perforated fabric materials and waterproof. 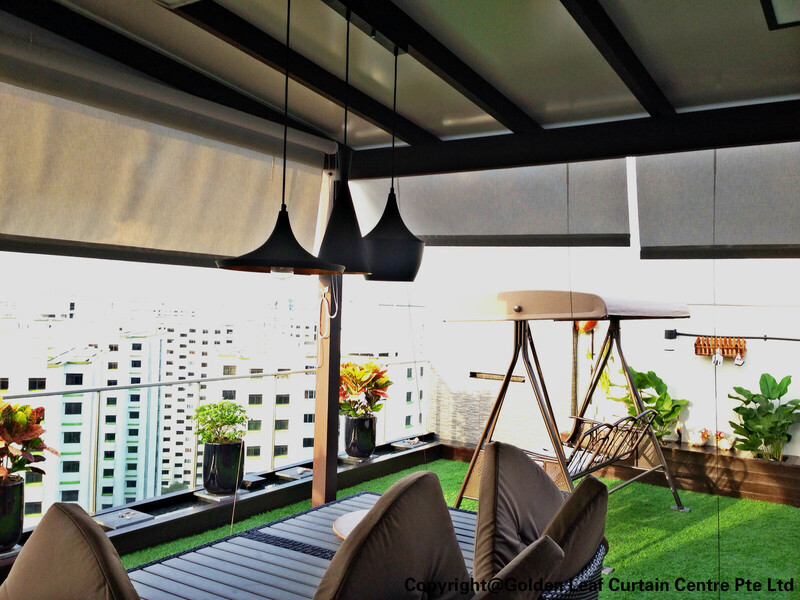 Outdoor blinds function just like indoor blinds but are more durable and shields better in external weather conditions. It consists of thicker roller casings and extra wind guide cables and can be used for commercial or residential spaces.